Mission Diversify: CIA Begins LGBT Recruiting Until the 1990s, the agency routinely denied security clearances to gay men and women. Hundreds were purged from government agencies in the '50s and '60s. Today, the CIA is actively searching for them, hoping they'll join. The CIA is looking to employ a community it historically rejected. As part of the CIA's efforts to diversify its workforce, the spy agency is reaching out to a group that once was unable to get security clearance — lesbians and gay men. Earlier this week, CIA officials held a networking event for the Miami gay community sponsored by the Miami-Dade Gay and Lesbian Chamber of Commerce and the CIA. "This is the first time we've done a networking event of this type with any of the gay and lesbian chamber of commerces in the United States," says Michael Barber, a self-identified "straight ally" and the spy agency's LGBT Community Outreach and Liaison program manager. Over the past year, Barber and others at the agency have worked to get the word out that the CIA has changed. For many years, the CIA and other federal agencies routinely denied security clearances to gay men and women, until President Clinton signed an executive order ending the practice in 1995. Now, Barber says, the CIA even has a program for gay couples. "We actually have LGBT employees serving overseas with their partners," Barber said to the few dozen gathered at the networking event. "So you can do it." Tracey Ballard, a technical intelligence officer who also spoke at the event, came out to her supervisors in 1989 knowing that the admission could cost her security clearance and her job. "It was a leap," she says. "I had one or two peers that were supporting. But it was a difficult time frame." Ballard kept her clearance and job, but says those first several years were uncomfortable. Some gay employees who weren't out weren't comfortable being seen with her. Other straight employees still held onto a notion that Ballard dates back to the McCarthy era — that gays are a security risk because they are subject to blackmail. Is There A Right Way To Be Gay? Hundreds of gay men and women were purged from government agencies in the '50s and '60s. But Ballard says that charge — that gays were a blackmail risk — was always false. "If you do research within the community over the decades, you'll find that it really wasn't an issue," she says. "LGBT people were not blackmailed in any type, any way or form. That was their way of ensuring that we were not employed." 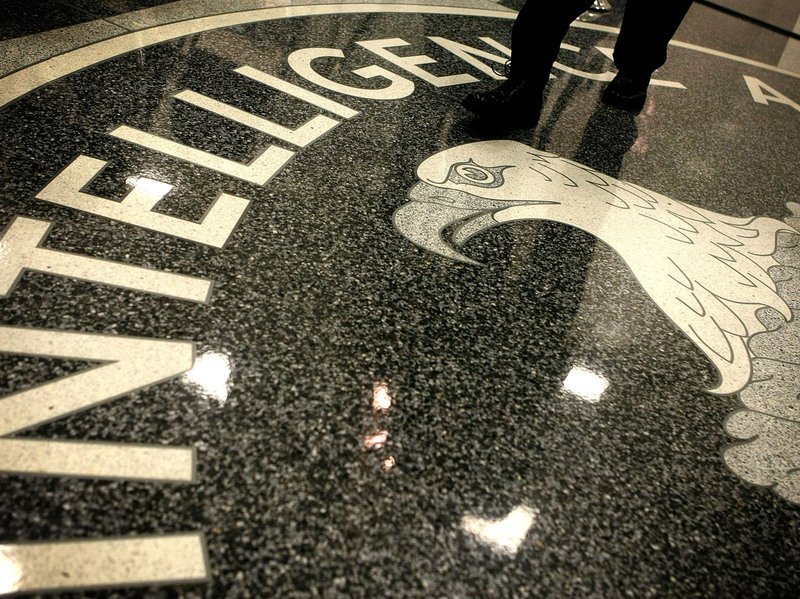 More than 200 CIA employees are members of the agency's LGBT resource group today. The spy agency is one of the founding partners of Outserve, an organization that represents gay active military personnel, including those with the CIA. Barber says there were always gay men and women doing important jobs at the agency, but until recently few were comfortable being out. "Part of the reason we're doing outreach is to change that perception in the community," he says. "That this is no longer an issue for holding security clearance, that we want the best and the brightest regardless of your sexual orientation."